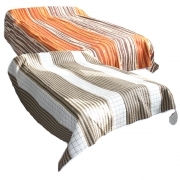 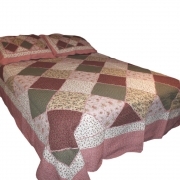 Reversible quilted throw - orange, brown and white on one side and brown and white on the other. 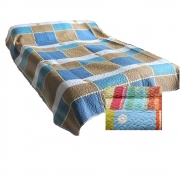 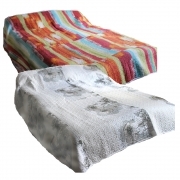 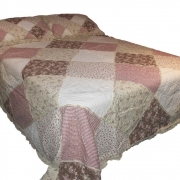 Reversible quilted throw - black and white on one side and multi-coloured on the other. 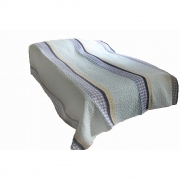 Blue stripe quilted throw for the home. 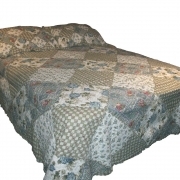 Blue and brown quilted throw for the home. 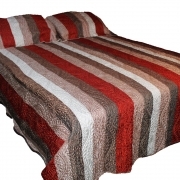 High quality silky quilted throw in red, brown and white. 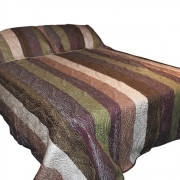 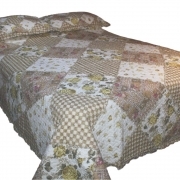 High quality silky quilted throw in green, brown, white and purple.